A recent client (an accountant) had sent out hundreds of resumes before coming to see us without having obtained a single interview. After learning our techniques he generated eight interviews and two attractive job offers within two weeks. Another client generated four job offers within three weeks. Prior to our program, her job search campaign had been fruitless. See Success Stories for recent client experiences. If you feel uncomfortable about negotiating compensation, we can help. 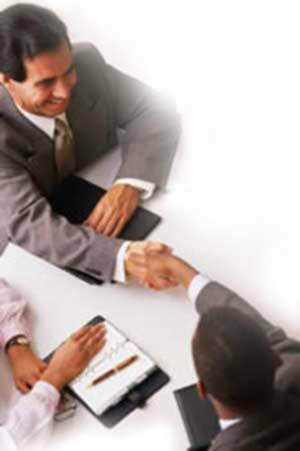 Almost all of our clients improve dramatically on the initial offer of employment. 10% to 30% or more is common. In more than 1000 negotiations we have never yet alienated a potential employer or had an offer of employment withdrawn. Our service is personal, confidential and affordable.